I would like to propose a "radical" approach to VC, and I have a good reason for this. We are all aware of a said incident that happened within the last week with one member of a major clan quitting and stealing a boat load of stuff in the meantime. There is no need to mention the clan nor the member in this discussion, most of us know the situation anyway, so it is not as important to resurrect that here. What I WOULD like to propose is an alliance between server laws and clan laws. One of the things that VC has that makes it unique and interesting is our CLANS. Arcation....THP....TheOrder...etc. We have a multitude of clans that work together as a group and do many activities together, among which is Minecraft. We at Vanillacraft are privileged to have many of these clans call Vanillacraft their SMP Minecraft home. I think clans are a valuable resource for Vanillacraft, and so I would like to propose something that raises the ante for all clans here. Each clan has its own by-laws, and most clans operate under the "/allow" rule. This helps the members of a clan work together, while simultaneously preventing troublemakers on the outside. I would like to propose an idea that (within reason), clan lawbreaking can be subject to discipline from server staff. With the incident mentioned before, clans would be more reluctant to allow new members to join if they know people can destroy a clan and then just quit. I am not saying that breaking EVERY rule would qualify for discipline on a server level. For instance, if you got into an argument with a group member and got kicked out, that does not necessarily dictate a need for discipline on a server level. But there are a few things that should be considered, the big two being griefing and stealing. The short of it is, if you join a clan, you are obviously subject to their clan by-laws, and if you break laws that would also be illegal on a server scale due to manipulating your /allow permissions, you are subject to server discipline as well. Most of the time it comes down to Moderator discretion with whether to enforce a group's rules or not. For example, oftentimes if a player "steals" from chests they have been given a /allow to, the Staff and server doesn't really see it as stealing. By providing that player with a /allow, you basically take on the liability of them clearing you out entirely. At the same time, if a player quits a group publicly, within a certain amount of time from that "theft" then it falls under a whole different category for the Staff in which case the server rules regarding theft come into play. Theft from a player you have given the /allow to is a sticky thing. In the past, I think the Staff has worked well to resolve issues. Grief is something else entirely, and whether the /allow is given or not doesn't matter. If a build is griefed, whether by a clan member or some outside source, that player is going to be in trouble with the Staff. Perhaps I'm not gathering your full point or what you're proposing since it seems like the two major problems are already taken care of by the Mods. I welcome any clarification. Well, there was a discrepancy in said issue when it was discussed among a couple of staff members, and it was resolved in the end with a ban. I guess I am searching for some input among clan members and possibly a unified approach among staff on this. Consider too that I have less VC experience than you, so me proposing this idea might be simply addressing something that is already addressed. I think the major difficulty comes because Clans/Guilds/Orgs, whatever you want to call them, are unofficial entities on the server. We make rules that we expect our members to abide by, but they don't trump server rules and can't be enforced by server staff. For example, I ran a city called Aegis back on the v3 map in 2010. Part of the city rules was that each roof had to be red in color, as part of the build theme. Thankfully most of the people who built there were on board with the idea, but if someone wanted to build a house with a blue roof all I could do is kick them out of the city and tear their house down. I couldn't ask the Staff to ban that player because they didn't follow the rules they had agreed to when they built in my city. Due to things like the above example, I feel that Staff is reluctant to enforce or give any kind of official statement regarding Clan Law. Chances are though, in the examples that you've cited in the OP, breaking that Clan Law also broke Server Law, so it was enforceable. If that particular scenario resulted in a ban, then I think it was the correct course of action, even better if items could be recovered. I will say it would be great to have some more interaction between Clans and the Server overall. Ways that the Clans can resolve issues without necessarily having to involve Moderators would be excellent. In the past we've tried forming a "VC UN" of sorts, but they never came to fruition. At the time there was too much drama and bias for it to be viable. Judging by what I've seen lately, I do think we're in a much better place to consider that sort of system now. People have calmed down, old wounds have been licked and players are working together more than I've seen since v3. Perhaps that's a discussion for another topic though. Yeah, my main concerns are big rules that every clan would have, like no griefing, no stealing, and not really sure what else would fall under this. I just think that our clans are a valuable resource, and as you said, there is more unity on here than there was a few months back. Agreed, it seems like almost every group has taken the improvement of the community and player retention as a major tenet of their structure. Builds like THP's Ironforge and Arc's new shop are great for making players feel welcome to VC. The Order has Annwyn for new players to come build in once it gets up and running. TGE is great at recruiting new players and making them want to keep playing here when they meet those guys and have fun. If possible, it would be great to have a rule stating something along the lines of: "If you have been given a /allow and steal or grief from another player, it is still considered theft and will be investigated and punished accordingly." Obviously this rule wouldn't matter for something small like "I'm missing two pieces of rotten flesh and a stack of string" but would work well for missing stacks of valuables. Yep, I would mark that up to moderator discretion, and this would allow the clans and the staff to work strongly together to help build that cohesive structure that will make VC improve on a daily basis. I'm against any connection between server staff and clan leadership. Why? The same reason you keep private entities separate from public ones; corruption and bias. 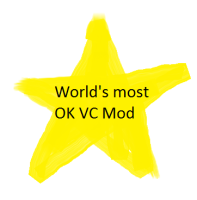 We have already had problems with mods enforcing unfairly because of clan bias, and any physical, hardcoded distinction of "clans" or "colors" has always lead VC down a path of division and isolation. We've only now returned to our roots as a peaceful build server with a strong, centralized community; let's not repeat our mistakes. MrPalmer wrote: I'm against any connection between server staff and clan leadership. Why? The same reason you keep private entities separate from public ones; corruption and bias. We have already had problems with mods enforcing unfairly because of clan bias, and any physical, hardcoded distinction of "clans" or "colors" has always lead VC down a path of division and isolation. We've only now returned to our roots as a peaceful build server with a strong, centralized community; let's not repeat our mistakes. It's not being stated there should be a connection between Staff and clan leaders at all... only that certain aspects of being in a clan should fall under Staff discretion too such as stealing from a /allowed chest. If I'm not mistaken, that's already in the rules. Any theft is still theft and up to moderator discretion, as you said before. Yes but if you read the replies there was apparently some confusion or disagreement between Staff about the most recent event. Bird is looking to get something more solid on the books for a more consistent ruling. Hm. Seemed pretty straightforward to me. Stealing--->check logs---> ban. Perhaps I'm wrong, but I think the staff already have covered this issue many times. The question is what is stealing? Using an allow given to you to take from a chest -stealing? or embezzlement? or legal? MrPalmer wrote: Hm. Seemed pretty straightforward to me. Stealing--->check logs---> ban. Perhaps I'm wrong, but I think the staff already have covered this issue many times. Well, the initial ruling 100% was not in favor of this. It was more along the lines of "he was /allowed, so tough luck". As MD said, I just want to open some discussion here that might help VC in the long run, no shame in that Thanks for your thoughtful feedback as well Palmer, always enjoy discussing VC with a vet. It does eventually come down to "moderator discretion." In my understanding, this phrase means that we implictly trust the players appointed to make the just decision. They have the logs, they have the ban power and ultimately the responsibility for these kinds of situations. Edit: On second look, I guess I'm a bit authoritarian when it comes to VC! lol. TBone there's kind of something along these lines. You can set up a /allow so that a player is only allowed access to blocks / chests within a given distance. The issue was not exactly straight forward as it seems. The issue and reason I believe brain is bringing this up is because of a clan rule. One of our most important rules when we have people join is the agreement that if you join and then leave you leave the group with absolutely nothing. When you join anything you have in your possession becomes everyones property. We have this rule for 2 reasons, the first is that everyone owns and shares everything. The second is it provides a strong motivator to think carefully about joining and leaving the group. So the issue became when he quit anything he had in his possession was ours and technically stolen in the eyes of our rules but in the eyes of the server rules only some of it was stolen. In the end we worked it out and while we got probably 75% of our stuff back the real damage came from the destruction of the validity of our clan rules. Where now it is public knowledge that you can join us and ignore our rules, take whatever you want as long as you do it carefully and not give it back when you leave. Basically preventing us from ever really trusting anyone who joins us from now on. Most likely we wont be accepting new people anymore even veterans. Also this is the first time where this has been an issue. In the past every single person who has left us has been amicable and followed the rules. Its just an interesting topic of discussion. While I can see why the moderators cant be our enforcers but it would be nice for there to be a way for the server to legitimize some of the clan rules. ViralVendetta wrote: TBone there's kind of something along these lines. You can set up a /allow so that a player is only allowed access to blocks / chests within a given distance.